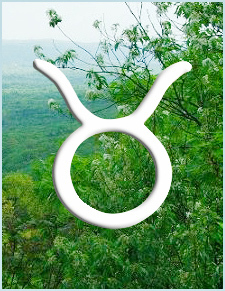 Planet Waves :: Pre-Order the Taurus Birthday Reading for Best Price! Don't you love it when the Sun enters your sign? It's kind of like everyone finally remembers what you know all the time: how good it feels to be fully present in one’s body and in contact with the earth -- especially when big astrology comes along. Eric gets this, and he is creating the perfect gift for you: your 2014 Taurus Birthday Reading! As an added bonus, Eric will be offering a live Q&A session for anyone who purchases their Taurus birthday reading. We'll send you details on how to call in as soon as we schedule the teleconference. Yet again this year you get to enjoy an eclipse in your sign: the solar eclipse and Taurus New Moon on April 29. It's part of this season's unprecedented astrology -- in fact, it may offer an important key to grounding whatever the cardinal grand cross has stirred up for you, and moving it forward. Covering different material and looking even further ahead than his recent Spring Report did, your Birthday Reading comprises two sections of astrology, each approximately 20 minutes in length, plus a tarot reading. Think of it like a gardening tool for your soul's growth. One happy recipient of Eric's readings for Taurus recently remarked, "It is like you are sitting in front of me and speaking about my experience of the last three years. Amazing!" You, more than many signs, appreciate beautiful gifts that are carefully crafted and offer lasting value. Your Birthday Reading for this year fits the bill. Not only is it downloadable to portable devices for repeated listening, but you also get access to photos of the tarot spread (described as "absolutely mind blowing and beautiful"), an extended sign description and access to last year's reading to check Eric's accuracy. Another listener told Eric, "It is not easy to find the depth and insight you offer for people who are consciously embracing their journey," and it's true. As a fellow Taurus, I know better than to rush you. But I want you to know that if you pre-order your Birthday Reading now, you'll save $10 off the published price. What better day than today to treat yourself to some delicious, slow-cooked soul food from Planet Waves?